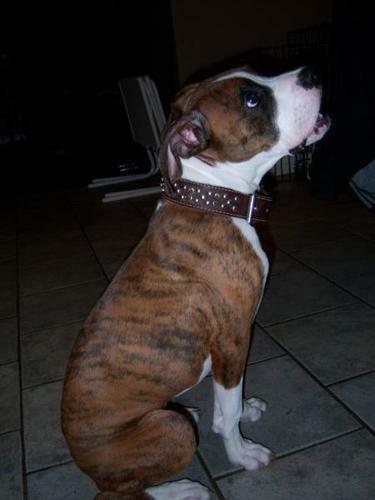 PURE BRED MALE BOXER FOR SALE...NEED TO FIND A GREAT HOME FOR "ROCKY" OUR PURE BRED MALE BOXER. HE IS VERY FRIENDLY AND FULL OF ENERGY. HE COMES WITH A WIRE INDOOR KENNEL,LEASH, COLLAR AND BED.